I have to say, I’m starting to doubt the Vikings confidence in John Sullivan as the starting center. Not only does he have to compete with Ryan Cook, who will likely lose his starting job at right tackle to Phil Loadholt and could possibly go back to his original position in the center, but the Vikings also signed rookie free agent Jon Cooper. Now the Vikings have added a fourth name to the competition at center. 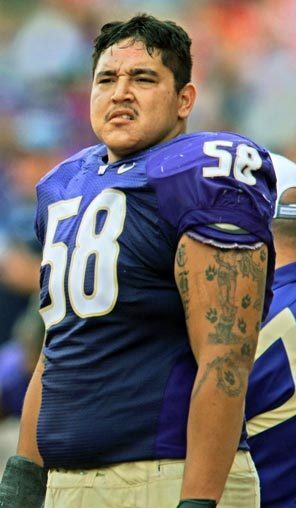 According to Access Vikings, Washington’s Juan Garcia has signed on after a good tryout during the rookie mini-camp. After experiencing a foot injury last spring, Garcia bounced back and was able to complete a streak of 37 consecutive starts. Another name that could be added to the list as competition for center is current starting right guard Anthony Herrera. Brad Childress went out of his way a couple of times before the draft to remind people that Herrera practiced well at center during last season’s training camp. I really disagree that the Vikings have lost faith in Sullivan. Even after the draft, Sullivan was the only center on the team. Cook is too tall to play center in the NFL. Moving Hererra to center would just create a hole at RG.. so it would only make perfect sense to add a couple of centers in hopes that one of them prevails to make the team. Sullivan will be our center day one, and I think the Vikings are really excited for that. Brendan, Thanks for stopping in and commenting! I don’t really think anyone besides Sullivan will be our starting center either… but I do think it’s weird that they’ve stock-piled that particular position.